On today’s episode, Annie dissects Public Holidays in France. Some people call them Bank Holidays or National Holidays. In French we call them “les jours fériés” but you won’t need to remember that, no quiz at the end! On public holidays in France public transportation may or may not run, museums and attractions may or may not be open, etc. I decided to produce this episode because this is one of the most common question people ask me every year. But once you get the big picture, it's pretty easy to navigate! Every country has public holidays, Nepal is the country with the most with 36 public holidays each year. France is actually quite reasonable because we only have 11 public holidays. 8 public holidays that are fixed and 3 are pegged to Easter. 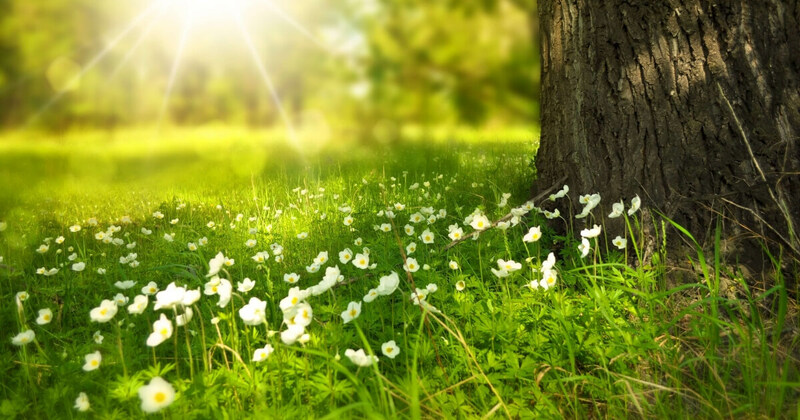 The thing is, most of our public holidays in France are in the Spring, so it may feel like we have a lot of them if you happen to be visiting in May! Here are the details. In France, we have 8 public holidays that happen on set days of the calendar. These are the easy ones because they never move. In French we call it « jour de l’an » and it is celebrated much like it is anywhere in the world by getting together with friends and family and getting progressively drunker and drunker as the night goes on. As a result of all this drinking almost everything is closed on Jan 1st. French Labor Day takes place on May 1st in France. 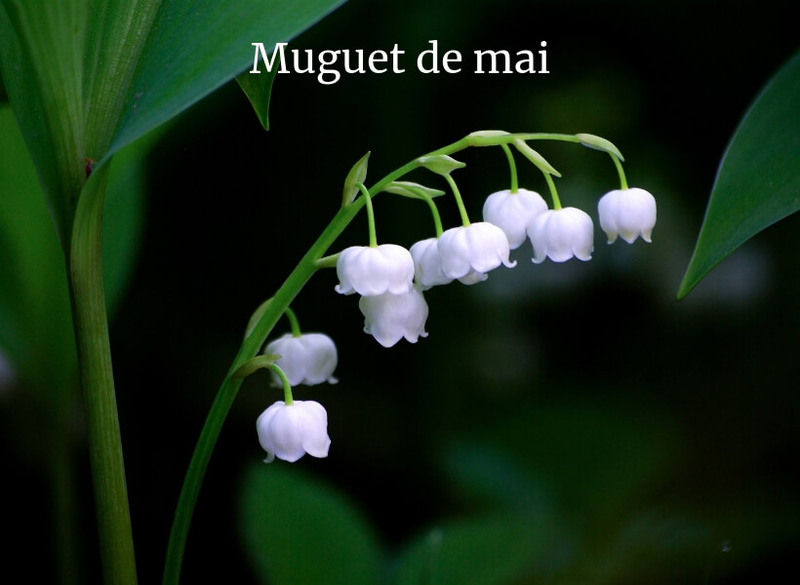 We call it “le premier mai” in French and it’s a day for parades by labor unions and political parties, as well as gifting of “muguet”, lilly of the valley flowers. The country basically shuts down on that day. I’ll go into more details on that further down. This holiday celebrates the end of WWII, in French it is called “la fête de la Victoire”. It is a day for laying wreaths, remembering veterans, and family meals. This is also a big shopping day, stores are open and hold sales. We don’t call it Bastille Day in French at all, we call it either “le 14 juillet” (July 14th) or “la fête nationale” (our Independence Day). This is the day the people of Paris stormed and destroyed the Bastille prison. This is often the day people leave on vacation and there are big traffic jams! Many stores and attractions will be open on July 14th. This is a Catholic holiday having to do with the belief that Mary, the mother of Jesus, did not die, but rather was taken up into heaven. It’s one of the least noticed public holidays we have in France since so many people are already on vacation in August. Many stores and attractions will be open on Aug 15th. We call it “la Toussaint” in French, it’s a day to go visit the cemetery, put flowers on the grave, and have family gatherings. Many stores stay open for “Toussaint”, museums usually do also, but check their website. This is the celebration of the end of WWI. It is celebrated in cities and villages with gatherings of officials, laying of wreaths at the “Monument aux Morts” (that’s the monument to the dead) which almost every village in France has. Many stores stay open for Armistice Day. We call it “Noël” in French, but I’m sure you knew that. Celebrations start on Christmas Eve and end on the evening of Dec 25th. This is the most celebrated holiday of the year by both religious and non-religious families. Almost everything will be closed on Christmas Day. If you spend Christmas Day in France you will need to check if the restaurant you want to go to is open, if the attraction you want to see is open, etc. Very few things are open on Christmas Day, but the Eiffel Tower is one, so if you’re going to be in France during one of these you’ll have to do some searches to figure out what’s open and what’s not. The 3 days in the year when most things are likely to be closed are May 1st, Christmas Day and New Year’s Day. Now, let’s talk about public holidays that change dates. We have 3 of them and they are religious in nature: Easter, Pentecost and Ascension. France is not a very religious country, but don’t touch our religious holidays, we love them! So why do two of our public holidays change every year? Because they line up with Easter and Easter moves around each year! Easter moves around a lot actually, sometimes by more than a month. The earliest Easter I could find was on March 22nd and the latest April 25th. I won’t go into how they decide when Easter is for a given year, it’s a complicated calculation that I don't really understand. But, as a result, Ascension and Pentecost move around as much as Easter. Ascension is Easter +39 days and Pentecost is Easter +49 days. Most years I’ve been alive both Ascension and Pentecost have been in May, but it’s possible for Ascension to be on the last day of April and it’s possible for both of them to be in June. So, look it up, don’t try to guess! All you have to do is search for the term “France public holidays” and the year you’re interested in, and voilà, you’ll be able to see all the dates! Regardless of when Easter, Ascension and Pentecost take place, French people get Labor Day on May 1st and V Day on May 8th. And when those public holidays fall on a week day it is smart to add a day or two of paid vacation time and turn that one day into a few days off. Let me give you the example of what happened last year in 2018. Ascension was on May 10th which was a Thursday. Lots of people took an extra day off on Friday, May 11th. And that gave them a nice 4 day week-end that only took out 1 day of their paid vacation time. This year in 2019 they’ll need to take two extra days off to achieve the same “bridge” because May 1st falls on a Wed.
Why am I even telling you about this other than to make you jealous? Because these day are all heavy travel dates! If you’re going to visit a place like the Mont Saint-Michel or Carcassonne or other famous places around France, you will run into a lot of French people who are enjoying their long week-ends. Hotel rates will go up. TGV trains will be full. French people will be out and about. And we all have cabin fever by now, so these are long week-ends where French people do go out en masse. So, if you’re going to be in France during the month of May, lookup our public holidays and be sure that those will be heavy travel dates even though it’s not summer vacation for the kids yet. Now, let me zoom in on May 1st specifically. What Is Going to Be Open on May 1st in France? PS: I mispoke during the episode, I said Marseille is the second largest city in France. It's not. Lyon is. But it changes nothing to the point I was making: outside of Paris even large cities will have no public transportation on May 1st in France. May 1st is a holiday in France because it is “la Fête du Travail”, a day off for workers to celebrate the 8-hour work day. This is a celebration that originated in the United States on May 1st, 1886 and has since spread all over the world, including France. May is a popular travel month, so a common question I get is what happens on May 1st in France? This is an excellent question because you do not want to be caught off-guard and lots of people are surprised how many things are closed on Labor Day in France! Does Everyone Take May 1st Off in France? • City buses, trams and metros will not run anywhere (except for Paris, see below). No public transportation in Lyon, Marseille, Toulouse, Bordeaux, etc. No public transportation in smaller French cities either. • Paris is the exception to this rule, there are some metros and RER trains, but at much slower frequency. You will have to wait, possibly with lots of other people. • Stores will be closed, there will be exceptions, but most stores will be closed! • Many restaurants will be closed (especially outside of Paris). 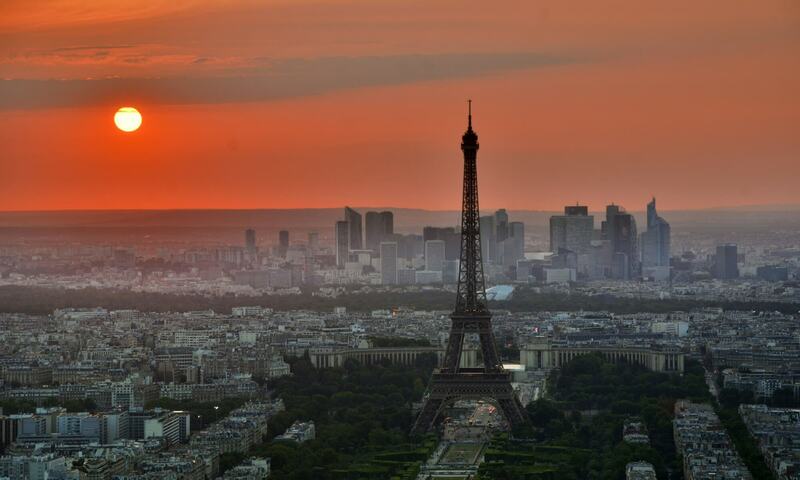 • Almost all museums will be closed all over France (a few smaller museums stay open in Paris). What Stays Open in France on May 1st? What Can I Do as a Visitor on May 1st in France? If you’re only in France for a short time and want to find something to do, google the venues you have in mind to make sure they are open. Make a plan as to how you will get there. Please note that if you’re thinking of renting a car to get around Paris for that day, you will find the roads very busy and parking spaces difficult to find. My strategy is to plan on walking around pleasant places such as public parks and beautiful streets wherever I happen to be. In Paris, I love to walk around the Île de la Cité, followed by a stroll along the Seine River. Or maybe Saint-Germain-des-Prés or the Latin Quarter? You could also participate in one of the many “manifestations” taking place all over France. A large one in Paris starts at Place de la Bastille. Google the term “manifestation du 1 mai Paris” to find one that will suit your taste. Be aware that depending on the political climate and possibly terror alert, there may be some rough policing going on. Most French people will be hanging out with family or practice their favorite sport. It is a day of rest and relaxation. I hope you have a great time in France on May 1st, take it slow and don’t try to make it a typical tourism day where you pack too much in. Sleep-in, enjoy the spring weather, and have a laid-back day like the rest of France.